It’s a situation we hope no pet or pet owners are ever in. But emergencies that include our pets absolutely can happen, and having a plan in place can not only help your pet — but potentially save its life or prevent harm. This doesn’t only include when your pet is experiencing an emergency health situation, but also in the event that you as a family are, such as dangerous weather, flooding, fire or other issue. But with a little advance planning, you can be ready for any situation that may arise. Create An Emergency Kit That Can Be Ready To Go Where You Go. Create a zip lock bag of your pet’s records as well as a list of contact information for important organizations including your vet’s information, a 24-hour emergency vet organization, and emergency shelters that allow people to bring their pets. Put this with your other emergency items, making sure to store them in something that can endure weather, damage and also be taken on the go such as a plastic sealable shoe box or waterproof bag. This can be where Kuddly can come in handy as well — you can find local vets from your smart phone in case an emergency arises and your regular vet is not available. We can’t stress the importance of having an idea of where to take your family and your pet if hazardous weather conditions arise. Include bandages, towels or other items for treating injuries. Have Contact Information for Emergency Pet Needs Easily Accessible at Home. Create a second easy-access list of contacts for your pet and put on the fridge or in an office. Include your veterinarian’s information, as well as 24-hour vet if your vet doesn’t service off hour emergencies, animal poison control organizations, rescue organizations, the police, fire department and other organizations that you may need to help your pet in the event it is having an emergency, is lost or stolen. Create An Emergency Plan. What will you do if there is a fire in your home? What about if there is bad weather and you need to seek shelter? Sitting down with your family for a quick plan is not just good for all of you, but for pets as well. So be sure to include how you might help pets in the event an issue arises. Be sure to research and have a sense of what shelters, organizations and other resources there may be to ensure you and your pets are safe in case an issue arises. Even just remembering to leave a door open when evacuating in a fire can help your pets escape. This can also help your family and you remain safer. Include Pet Items In Your Emergency Storage Kits. Many families store items in the car or easily accessible in the house such as extra bottled water, canned goods, and other essentials needed in case an emergency situation arises. Include in your storage pet food, leashes, collars, treats, litter if you have cats, and other things you may need for pets, as well as factoring in extra water as both you and your pets will need it. 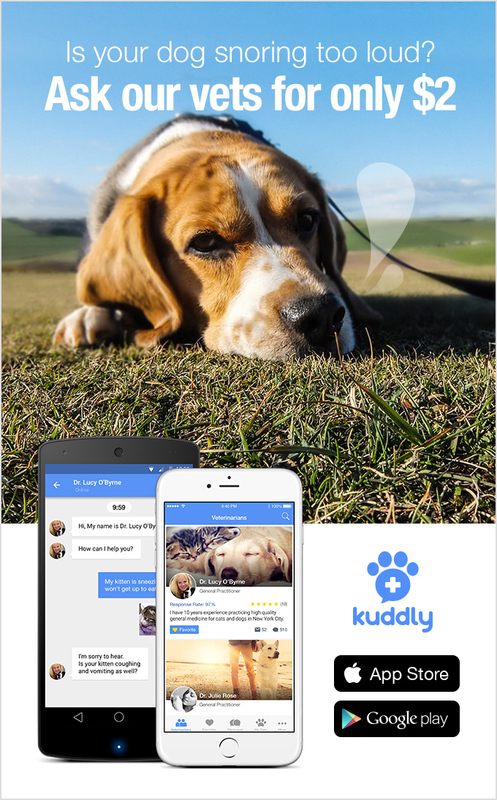 For animals such as birds, snakes, turtles and other unique species, talk with a veterinarian on Kuddly to put a plan in place for their food, shelter and other needs. Let Emergency Teams Know You Have A Pet. You can purchase stickers and other signage that alerts emergency services and teams to your owning pets. Additionally, if you are in an emergency, let teams and services know you have pets in the home when they arrive and you and your family have reached safety so that they know and can help. Keep Pets Restrained In Vehicles. Pets not only can be severely injured in automotive accidents, they can also accidentally lead to accidents by distracted owners. Ensure your and your pet’s safety when you are on the road by having a travel-safe crate in the car. While your pet may not be able to cuddle on your lap or stick his or her nose out the window, it’s worth it to ensure everyone’s safety. There are products to help provide padding to crates in vehicles. Be sure to also find one that is insulated so your pet does not get too hot or too cold. Soft crates while convenient won’t offer much protection in an accident — go with a sturdier material instead. Create A Plan For Your Pet In Case Something Happens To You. Many people assume that family or friends will take care of pets in the event of a death or illness in your home. All too often, these animals are abandoned at shelters or worse, abandoned on the streets. Talk with your family about what you would like to do about your pet if you are unable to care for it, both long and short term. Include in your plan rescue organizations that may be able to take your pet so that if there is not someone among your family or friends who can do so, they’ll have somewhere to bring the pet. Many people leave financial means for their pet’s care in their written wills — be sure to outline any wishes or provisions for your pet that you have here as well. Ensure Your Pet’s ID Is Up To Date. Microchipping pets that can be microchipped is a good idea to ensure your pet can be identified if there is an emergency situation. But also be sure to keep that information regularly updated! This also includes any tags on collars. Emergencies can be scary and dangerous for everyone, people and pets alike. But ensuring you have a plan in place can help enormously to ensure everyone is safe, cared for and protected should the situation arise.